Many cat owners are baffled by the lack of information on the internet when researching cat passports and cat travel information. This is especially true when it comes to arranging air travel with their fur bods. So I have taken it upon myself to source all information, from various web sites, such as Defra, into this one post. You can bring your cat into the UK without quarantine as long as it meets the rules of the pet travel scheme. These rules also allow you to take your cat to other countries and territories and return with them to the UK without the need for quarantine. I have divided the information into two sections. 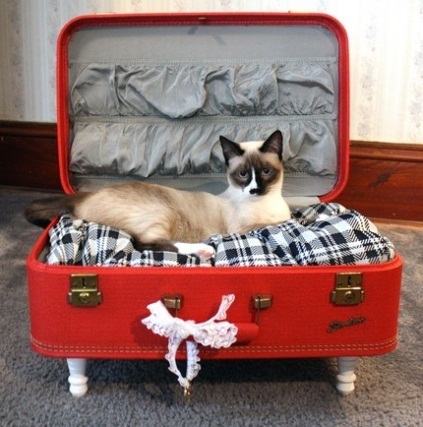 Pets travelling on a reputable airline, such as British Airways, will generally run smoothly but cat guardians have to be aware of the risks. Knowing the risks, as well as understanding the rare things that can go wrong, should help cat owners to make the right choices, ask the right questions and generally be on the ball when it comes to the correct planning and best options. 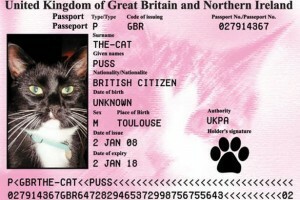 In Great Britain, a pet passport is issued by an Official Veterinarian (OV). You are responsible for ensuring your cat meets all the rules for entering the UK under the pet travel scheme. Make sure you have had the procedures carried out in the correct order and that your pet’s documentation is correctly completed. If you do not, your cat may not be able to enter the country or may have to be licensed into quarantine on arrival. This will mean delay and will cost you money. Pets travelling to an unlisted non-EU country that have been identified, microchipped and blood sampled 30 days after vaccination demonstrating a positive titration result before leaving the UK (or another EU country) may re-enter the UK without having to meet the three month waiting period. The vaccination, blood sample and positive titration result must be recorded on the pet passport. Thanks to Defra for the above information.